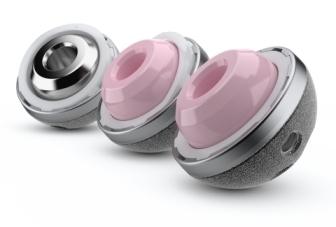 Medical devices maker MicroPort Orthopedics has introduced new Procotyl prime acetabular cup system. Procotyl is an advanced system that will support a variety of surgical approaches, including all of the firm’s soft-tissue sparing philosophies. Procotyl prime acetabular cup system has been developed based on Dynasty acetabular cup system. MicroPort Orthopedics president Aurelio Sahagun said: “At MicroPort Orthopedics, we embrace the constant advance in orthopedic medicine, and have a deep commitment to creating products that make patients’ lives better. “The Procotyl prime acetabular cup system, with its best-in-class features, is a great example of this commitment, as it not only strengthens our position as a leader in surgical joint replacement, but also complements our existing products and surgical approaches to help patients return to full function faster. Founded in 2014 and member of the MicroPort Scientific, MicroPort Orthopedics is engaged in the development of hip and knee implants. The company produces and distributes advanced OrthoRecon products to the patients and their doctors in over 60 countries, including the US, EMEA, Japanese, Latin American and China markets. Image: Procotyl prime combination shot. Photo: courtesy of Business Wire.